Evan Y. Liu, M.D., an attorney with Philadelphia personal injury law firm Feldman Shepherd Wohlgelernter Tanner Weinstock Dodig LLP, presented “Social Media & Ethics” and “Ethical Considerations of Social Media Marketing” at a full-day continuing education conference held at Temple University’s Fort Washington campus on Nov. 17. The programs targeted attorneys and accountants — as both professions communicate with clients, potential clients and opposing parties and must be ethically compliant with regulatory systems. The in-depth social media and ethics presentations drew a large audience with extensive interaction and recommendations for the professionals in attendance. Dr. Liu discussed how legal professionals cannot avoid the impact of social media in the practice of law; and how lawyers must adapt and evolve to changing technology while being ethical and compliant in areas of investigation, discovery, evidence retention and jury selection. He also discussed the increasing use of social media as legal marketing and networking tools, and how these new methods of self-promotion are rife with ethical concerns. A medical malpractice and product liability attorney, Dr. Liu has published several articles on the topic of social media and has appeared as a panelist on this subject in numerous legal conferences. He is a 2006 graduate of the Widener University School of Law and a 1984 graduate of the Pennsylvania State University/Jefferson Medical College five-year cooperative education program. Prior to being admitted to practice law in Pennsylvania and New Jersey, Dr. Liu was a 15-year veteran of a full-time emergency medicine practice in the Delaware Valley. He earned an M.S. in information science from the Pennsylvania State University, concentrating on the security, privacy and patient safety issues relevant to medical information systems. 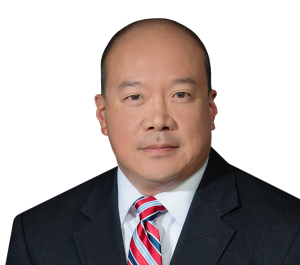 Dr. Liu has also been recognized by Thomson Reuters, published annually in Philadelphiamagazine, as a 2012, 2011 and 2010 Pennsylvania Super Lawyer® Rising Star.